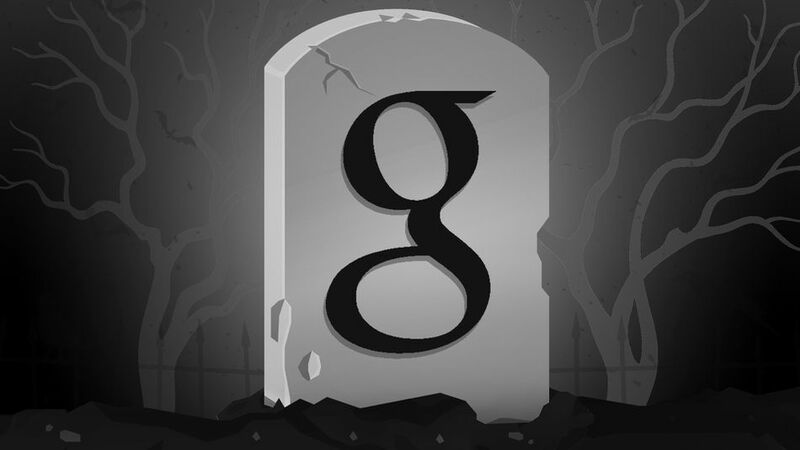 Is This the Death of Search Engine Optimisation? There has been an article published today on Mashable about the death of search engine optimisation (SEO), the art/science/jiggerypockery of getting your website to rate highest in a Google search result. Sites that have relevant, reliable and authoritative content. I totally agree with this, think about it, Google wants to please its customers, so what does Google’s customers want? Google’s customers want high-quality and relevant results to their searches, and this has to be content driven. If someone types a search term and then ends up bouncing back to Google straightaway to try another one of the search results then clearly the initial search result was not relevant or reliable. This means you need to create great quality content so that when people land on it, they stay on it. You also need to make your site easily navigable to ensure that people click on links and visit more than one page, Google monitors this you know! Yes I agree with this to a degree, gone are the days where a client should be asking me to rank their website for terms like ” dentist in London”. This is a very old school and narrowminded approach to search engine optimisation, searches are much more varied nowadays, especially with the advent of voice searching facility. People on searching as often to these short key phrases, they are using much longer phrases and so monitoring these short ones simply becomes a waste of time. these longer phrases are just too numerous to monitor and measure so what’s the point? Rather than optimising single pages to rank for short phrases like ” dentist in London” by recommendation now is to continue building the website on an ongoing basis, adding more and more pages about more and more subjects with more and more relevant, reliable and authoritative content. Write a blog. When you write your blogs you can write them from different angles. You could talk about local patients in the Marylebone area which have been looking for an NHS dentist and not be able to find one, in this blog post you might mention about ways to find an NHS dentist, the problems with NHS dentistry and the advantages of NHS dentistry. A blog post such as this would naturally then begin to rank for terms around the NHS, dentist, Marylebone phrases… See what I mean? What does this mean? Google is now looking for how authoritative you are as an author. So how does Google know how authoritative you are? Simple… Social media! An absolute essential part of optimisation in the modern world is to link your website to your social media profiles and back again. This creates a circular link which Google can then recognise, your social media posts point to your website and your website points back to your social media profile. If you write posts on social media which people engage with, like, share and comment on them this demonstrates you are an authoritative figure on the subject about which you speak. If you have lots of followers, fans or contacts on social media this also is a signal to Google that you are an authoritative figure. Naturally, you may be an authoritative figure outside of the Internet, you may be widely published, you may speak at many conferences… But if Google doesn’t know about this (or you haven’t told them in the correct way) then it will have absolutely no effect on the way your website is found in the search results. One way of doing this is to link your website to your Google plus business profile, when you do this you should add the rel=publisher attribute to the link (your web designers will be able to do this for you) the link should be placed on your website and it will tell Google plus that your business page is the publisher of this site. Then when you write a blog post you should add a link back to your Google plus personal profile, when you do this you should at the rel=author attribute to the link (your web designers will be able to do this for you). Doing this will notify Google that your Google plus profile is actively creating content around the Internet (you should actually be doing this every time you write an article and it is published online, they should all link back to your personal Google plus profile as author). This way if your Google plus profile as a comment, share or like it is a signal to Google that you are an authoritative author, this authority will then flow through to the content you write on your website. Of course this is something that people try to manipulate to pretend they are more authoritative than they actually are and it’s alleged that Google have recently turned off this part of their algorithm. My belief however is that whilst Google may have turned off this part of their algorithm temporarily the principle remains, the more authoritative you are the more Google will like the content you write. My belief is that it is not dead at all, it is simply changing. There are some basic principles which you need to adhere to in order to ensure that your website ranks, unfortunately many dental practice websites just don’t do this and so they don’t rank! We are moving away from simple keywords into something far more complex with authority and things like Socially Relevant Searches which seek to change the search results depending upon what your friends on social media have already done. Being aware of this, understanding the system and working that system is modern optimisation… Are you doing it? This entry was posted in optimisation and tagged Authority, Google plus on 15 July 2014 by Mark Oborn.